Natalie's four-year stint is over. The star-studded cast include two models whose talents span further than the catwalk. 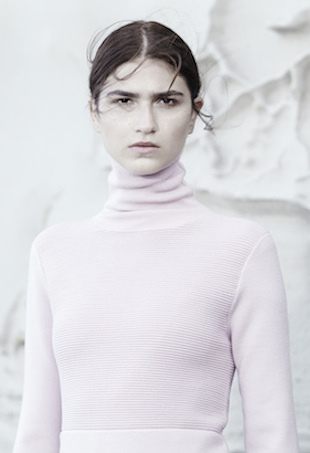 The Aussie label shows us that the weather is no barrier for the fashion-forward girl. "I am a real person behind the image." "She has destroyed bonds name for me." It's one of the most beautiful shoots we've ever seen. How Does Chanel Spokesmodel Kristen Stewart Really Feel About Karl Lagerfeld? "He is a true renaissance man, one of the greatest artists of our time." Zoe Saldana is the New Face of L’Oréal Paris: Do You Care? Zoe Saldana looks like many millions of bucks, the presumed value of her contract.